Boost grass and save fertilizer. 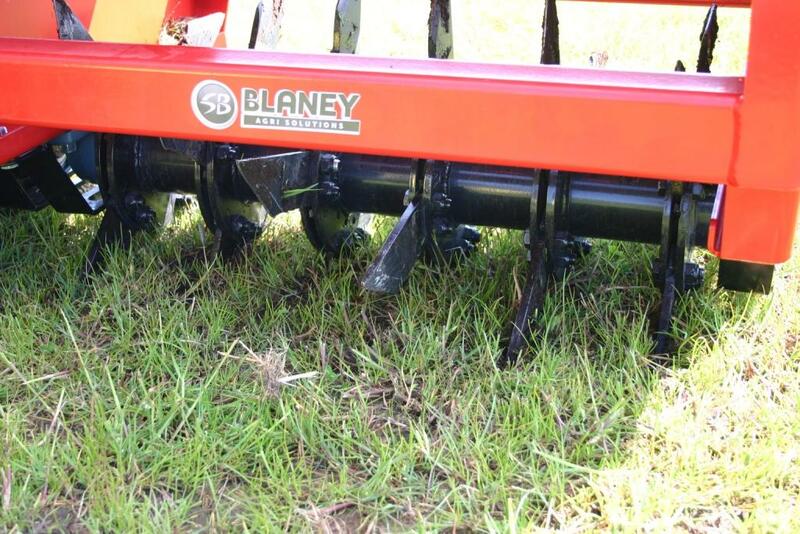 The Blaney Aerator releases the equivalent of 50kg of nitrates per hectare. Compaction of grassland is a common problem caused by livestock and heavy machinery which reduces grazing potential. 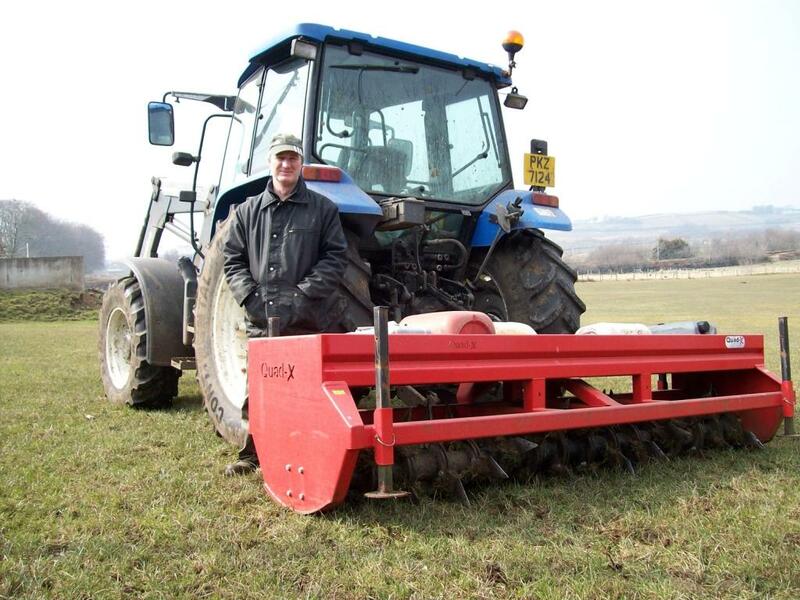 For smaller applications or hard to reach areas why not try our ATV Aerators manufactured by Quad-X our ATV machinery division, available in 1.2m widths. 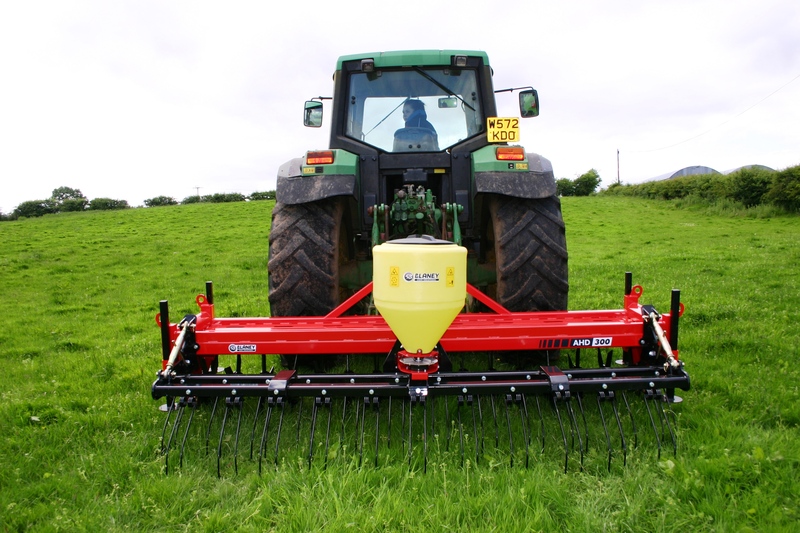 Blaney Agri manufacture a range of Aerators and One Pass Systems from 2m to 5m width. 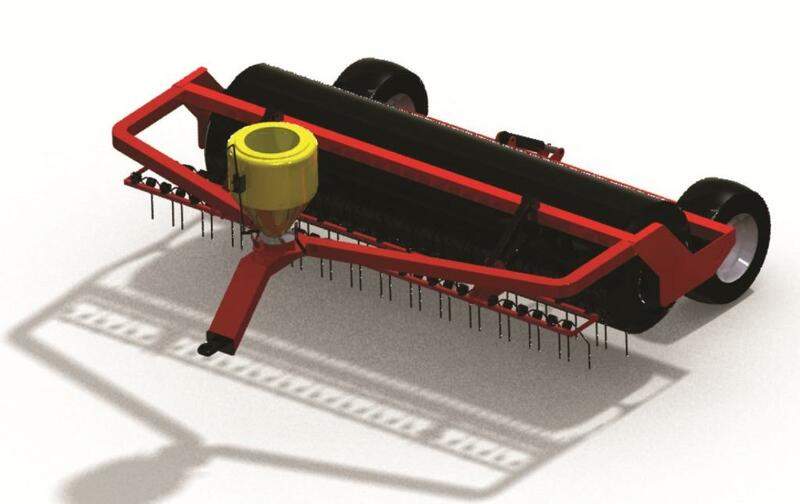 Tines and a Broadcaster can be fitted to the Aerator to turn it in to a duo or triple one pass system to allow for aerating, harrowing and overseeding all in One Pass. 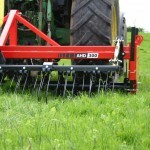 We offer the option of heavy duty or extreme duty and single or split angle rotor. 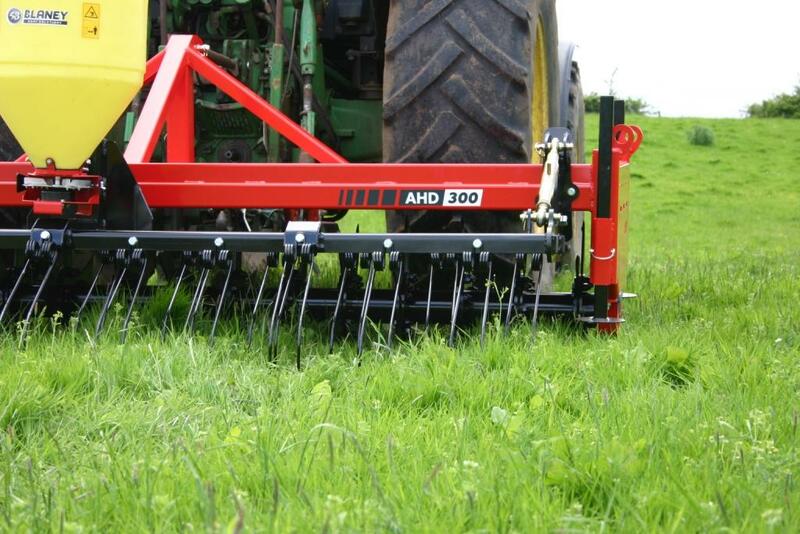 All models are available with the option of 3, 4 or 5 blades to suit your soil type and penetration required. 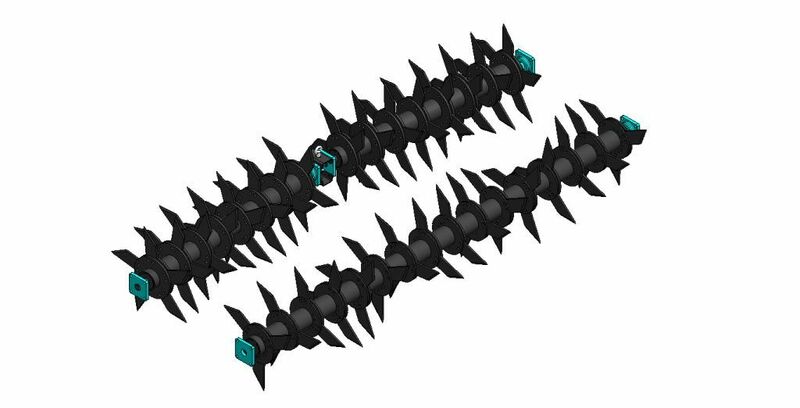 You can read more about these in the options tab. 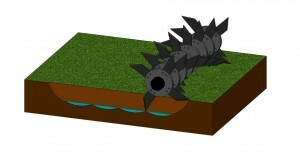 The heavy rotor is designed to reduce bending in stoney ground. 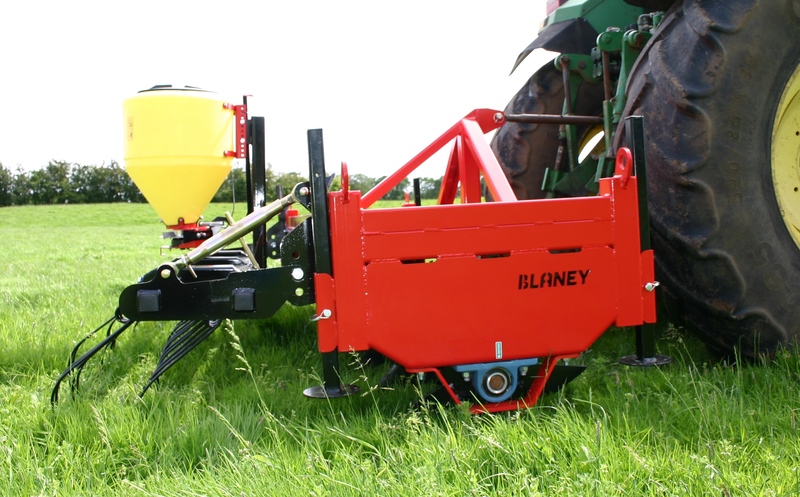 The Blaney design comes standard with a single fixed rotor with the option of an adjustable split angle rotor. 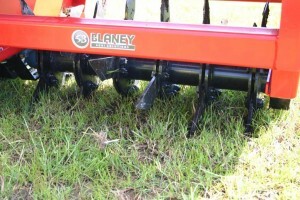 The Blaney Agri Aerators 5m wide and above have a unique cab operated, hydraulic fold system. This innovative folding operation does not require the operator to leave the cab in order to fold the wings up or down. Dethatching and over sowing. 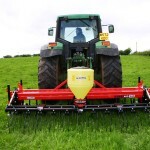 With the addition of the Quad-X broadcaster grass varieties and clover can be stitched in for bare and heavily poached areas improving grass quality and quantity, reducing weed uptake in these areas. 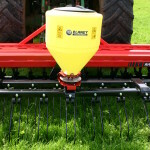 Optional remote controls are available, allowing you to open / close the broadcaster direct from the cab of the tractor. 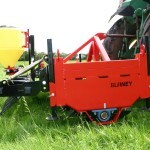 The Blaney Agri Aerator is available in a range of sizes, including a 2m, 3m and 5m. Make your time in the field generate better results. 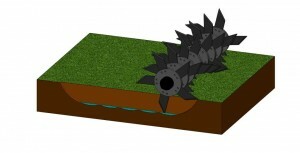 More blades mean better drainage thanks to the peaks in the drains created being more continuous for bigger volume fissures. This reduces the troughs which will hold water, leaving more room for air. The adjustable split angle rotor enables you to easily adjust the rotors; this means the blades will penetrate and exit at an angle opening up deeper and wider fissures, shattering compacted soil between the aerating slits for improved drainage. The split angle rotor allows for adjustment of up to 12 degrees. 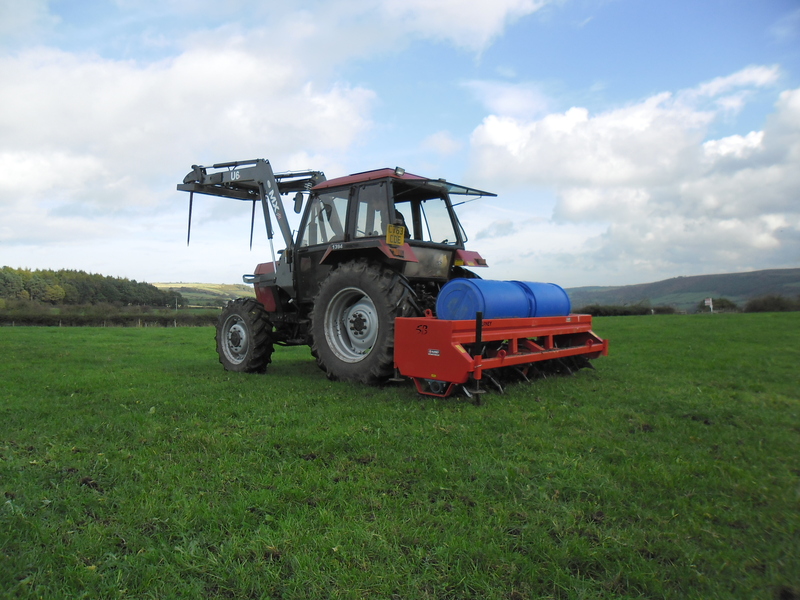 This setting is often used on more compacted areas such as grazing grounds where animals have trodden or where machinery has travelled regularly, since harder penetration helps to allow air, water and nutrients to pass down the roots. 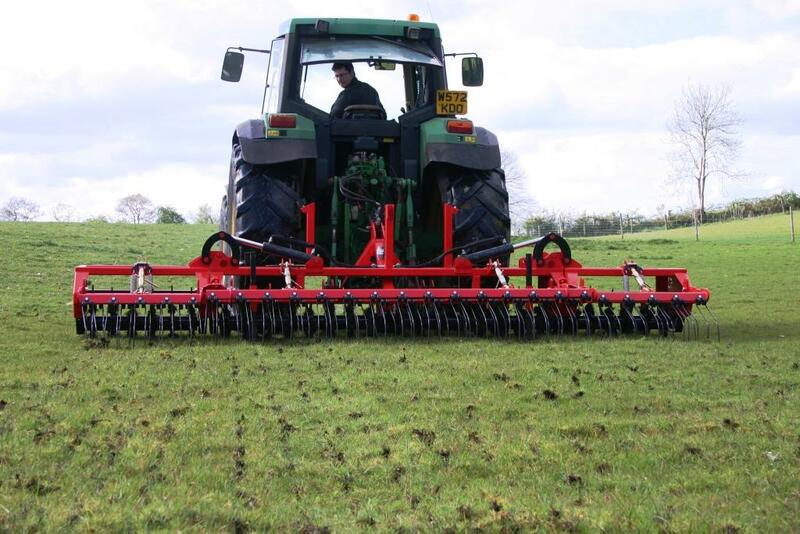 We are very pleased with the job the aerator makes and have been running at full angle which has resulted in a lot of soil movement.